PINKALICIOUS: THE MUSICAL has been extended Through January 7th, 2012. ChiIL Mama caught up with the colorful Pinkalicious herself, Lara Mainier, and her charismatic little brother, Peter Pinkerton, played by Mark Kosten. We were curious to see what they thought about the news, and we wanted to get a little sneak peek into the brains and personalities behind the wildly popular characters. Here are our interviews with both of them. Enjoy! 1. ChiIL Mama: So, you've just been extended into next year, January 7th to be exact. How do you feel about that? Laura (Pinkalicious): I'm very excited that we are extended! Mark (Peter): It is wonderful! We feel so elated that we get the opportunity to be at the Chicago Playhouse a little longer and continue what has already been a very successful run. 2. 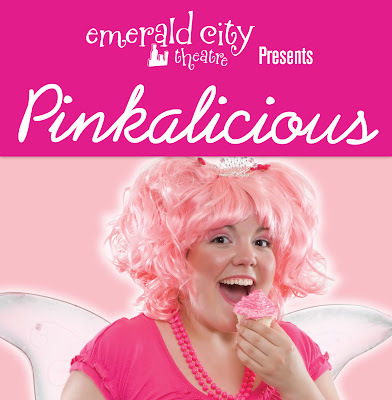 Now your original Pinkalicious production for Emerald City got rave reviews and was extended as well. Do you notice a difference in the Broadway Playhouse audiences versus the Apollo Theater crowd? Did the show change much from the first production? The audience at the Broadway Playhouse appear to be more tourists and families visiting the city from the suburbs. For the latest production Nathan Roher made me 4 brand new costumes and also added some other costumes for the other actors. Other than that (and the addition of Mark Kosten) not too much has changed. 3. How did you draw inspiration for your character? Are your mannerisms based on a child in your real world life? I try to play Pinkalicious as real as possible. I base her character on myself as a young girl. The inspiration is right there in the audience every day. There is no better motivator than an eager audience that is waiting to be entertained. After the show we get to meet some of our younger audience members, and that is a time that one can really hone in on the silliness of a child. To see and hear how excited they are on a day to day basis is such a treat. 4. When did you begin acting? I was in my first play when I was 12. After that, I was hooked. I began acting in Jr. High School when I was in the 7thgrade. I played Tevye in Fiddler on the Roof Jr. it changed my life forever. I suppose now would be as good a time as ever to thank Mrs. Castañeda for casting me in the show! 5. Is it difficult to play a child convincingly without getting into stereotypes? I play a lot of children on stage so I try very hard to make them all different. Children are just like adults, they all have their own personalities and idiosyncrasies that make them unique. I don’t think so. My focus every day is to have a good time and I think that that mantra stays true youthfulness. 6. What was the most challenging part of the production for you, personally? Definitely just memorizing the material and getting in the flow of the show. Also keeping up my endurance from start to finish. Pinkalicious has A LOT of energy! 7. Are there any funny bloopers stories from rehearsals or the run of the show? None that stick out above the daily antics that we get into! 8. 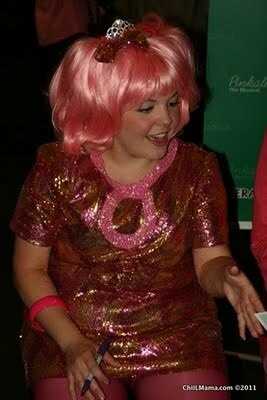 Now, Pinkalicious is a midwest premier based on a great series by Elizabeth Kann and Victoria Kann. Did you have a chance to work with the authors? Did they give any creative input on the production? We did not have a chance to work with the authors, although I know that our director Ernie Nolan was able to have a short meeting with one of them. 9. How many and which of the Kann's books have you read? I have only read Pinkalicious. I have a copy of Pinkalicious at my home. Recently I have been reading it a little more frequently! 10. What's your favorite “message” kids take away from the show? Pinkalicious sums it up in the final scene when she says "I'm beautiful just the way I am." My favorite message from the show is about love and acceptance, and not just loving those around you, but loving and accepting yourself. I think it is so important for young people to understand this in developmental stages in their lives. It is not a primary message, and it is definitely not thrown in your face throughout the show, but when I talk to audience members after the shows that grab on to that truth it is extremely gratifying. There are definitely things to be found underneath the surface of the material. 11. Pinkalicious has a pretty radical twist that it's OK for boys to love pink. Are boys coming to the show and do you think they're embracing that message? There are plenty of boys coming to the show and quite a few of them are wearing pink! Yes and yes! Some of our most enthusiastic audience members are boys, and they absolutely love the show! I’m sure that their guardians are still dressing them at home, but these boys show up wearing their pink attire extremely proud. 12. Tell me how it is working with Ernie Nolan, who directed and choreographed the show. Ernie is so fun to work with and he makes the process really comfortable. He's never afraid to try something new, and is always willing to hear input from the cast members. It is a hoot! Ernie is such a joy to work with and he has made this experience so wonderful. I have a plethora of fun whenever I am working with him. He recently became the Artistic Director of Emerald City Theatre and it has been great to be a part of this experience with everyone in the company. 13. You also had a chance to work with award winning composer, John Gregor, who wrote the music and lyrics. How was it collaborating with him? Do you have a favorite song/dance number? Do you hear the songs now, in your sleep? The songs do tend to stick in my head from time to time, but that is not a bad thing in the slightest. The music is very enjoyable. I do have to say that my favorite song is probably Green Food, and I really enjoy the solo number that I get to sing, I Got the Pink Blues. 14. 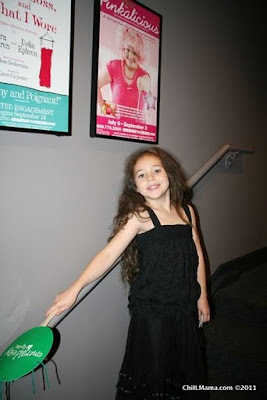 What advice do you have to kids who want to grow up and be actors? Work hard and stay positive and keep having fun!! I know it sounds kind of hokey and lame, but my advice is to have fun! Just go and have a good time and you cannot go wrong! ChiIL Mama and Sagezilla has a chance to catch the opening at Broadway Playhouse. Even Sagezilla, the anti-princess, was tickled pink by the production, despite her goth garb. 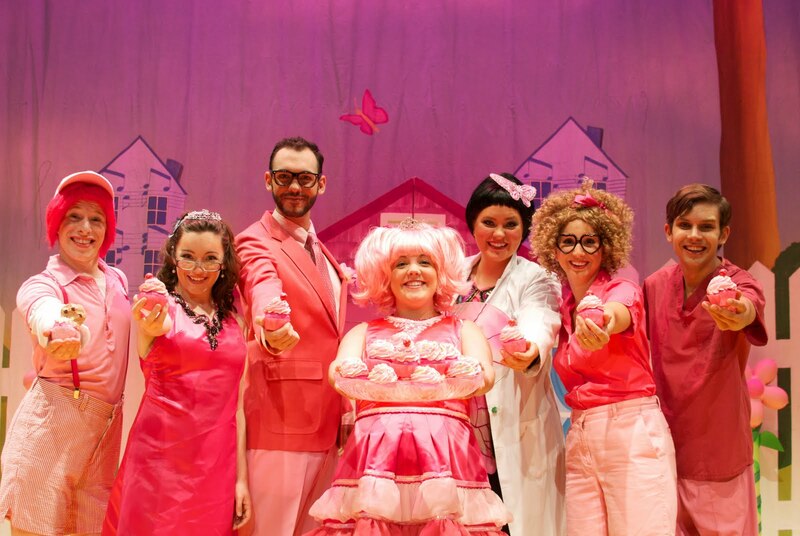 Check out our Pinkalicious review HERE. 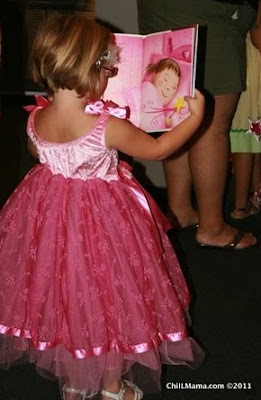 http://www.chiilmama.com/2011/07/pinkalicious-turns-gender-stereotypes.html. Broadway In Chicago is thrilled to announce that Emerald City Theatre’s 2010 hit is extending by popular demand through Jan. 7, 2012 at the Broadway Playhouse at Water Tower Place (175 E. Chestnut St). Individual tickets are on sale now. Tickets are available at all Broadway In Chicago Box Offices (24 W. Randolph St., 151 W. Randolph St., 18 W. Monroe St. and 175 E. Chestnut), the Broadway In Chicago Ticket Kiosk at Water Tower Place (845 N. Michigan Ave.), the Broadway In Chicago Ticket Line at (800) 775‐2000, all Ticketmaster retail locations (including Hot Tix and select Carson Pirie Scott, Coconuts and fye stores), and online at Broadway In Chicago For groups of 15 or more, call (312) 977‐1710.